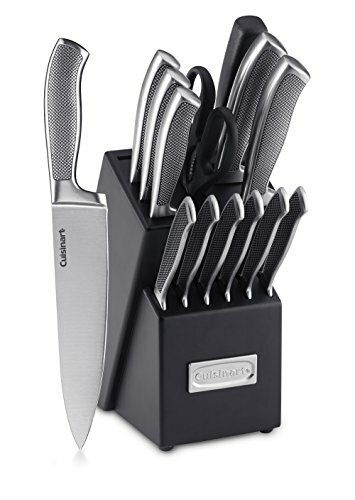 The 15-Piece block set includes an 8" Chef Knife, 8" Slicing Knife, 7" Santoku Knife, 5.5" Serrated Utility Knife, 3.5" Paring Knife, 2.75" Bird's Beak Paring Knife, 8" Sharpening Steel, All-Purpose Household Shears, 6x - 4.5" Steak Knives, Knife Block. 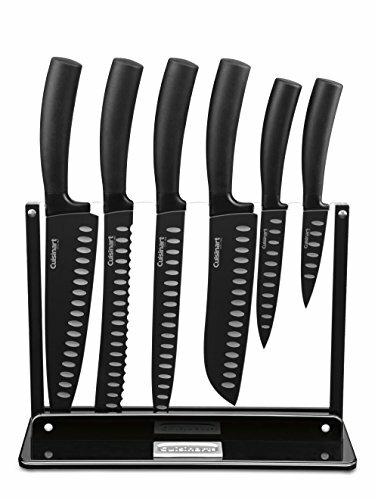 This 7-Piece set from the Non-Stick Edge Collection includes an 8" Chef Knife, 8" Serrated Bread Knife, 8" Carving Knife, 7" Santoku Knife, 5" Utility Knife, 3.5" Paring Knife as well as the Acrylic stand. 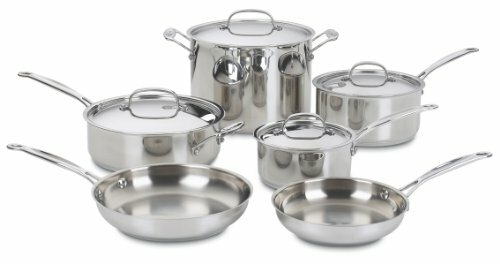 Pieces in this 7-piece cookware set are constructed of 18/10 stainless steel with a mirror finish, giving the cookware a classic appearance and professional performance. 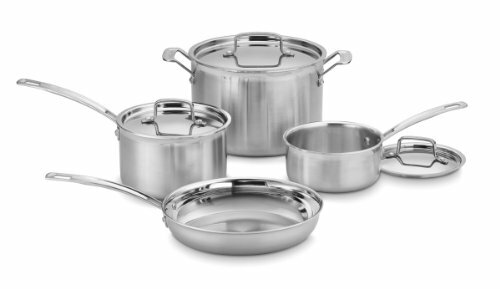 Cooking surfaces will not discolor, react with foods or alter flavor. 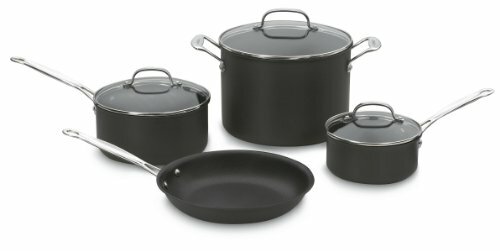 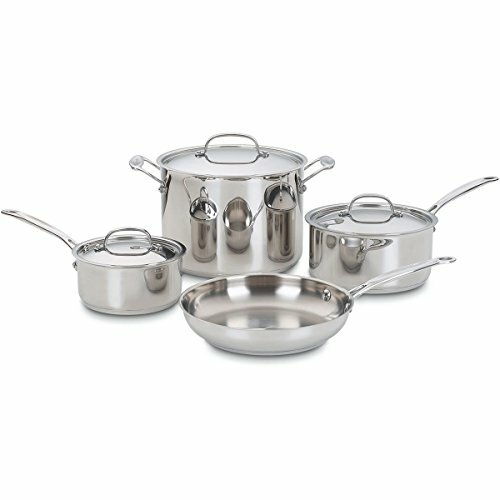 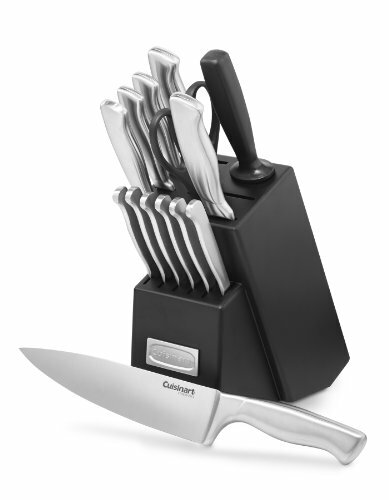 Looking for more Cuisinart Chefs Classic 7 Piece similar ideas? 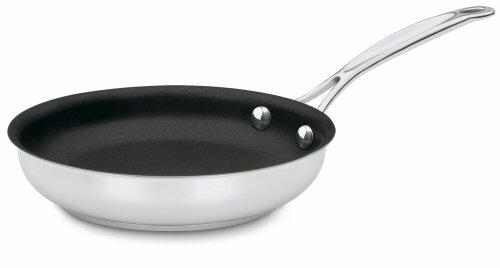 Try to explore these searches: Two Tone Gold Mens Bracelet, Figure Drawing Workshop, and Kids Dome.